When adding custom fields to ConvertFlow form elements, you can choose to select from "GetResponse fields". This allows you to map contact info entered into the ConvertFlow custom field, into the correct contact custom field in GetResponse. 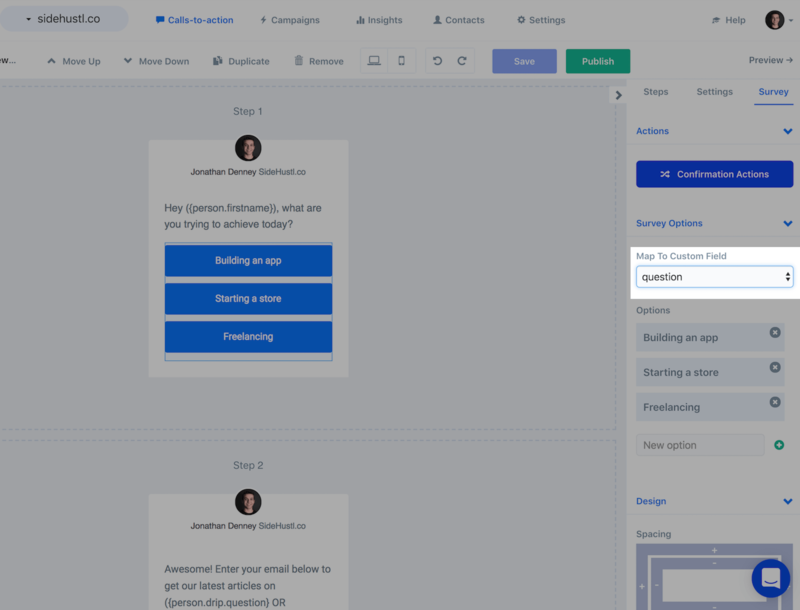 On your website's Integrations page, when you have GetResponse connected, you'll see a "Fields" button, that when clicked, allows you to map ConvertFlow's preset contact fields to GetResponse custom fields. This is useful for mapping contact info added to ConvertFlow's preset fields through ConvertFlow's forms, that isn't already mapped to fixed fields in GetResponse. 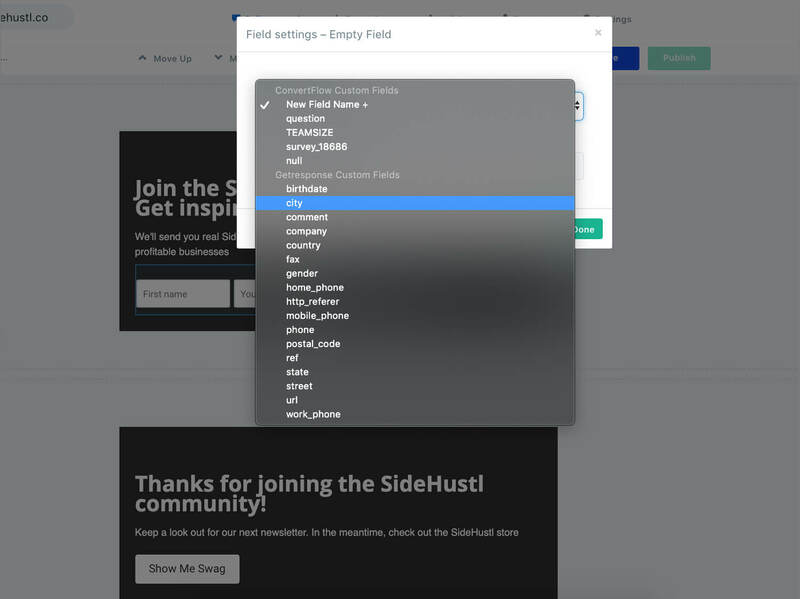 For example, "first name" and "email address" are already mapped to GetResponse for you. 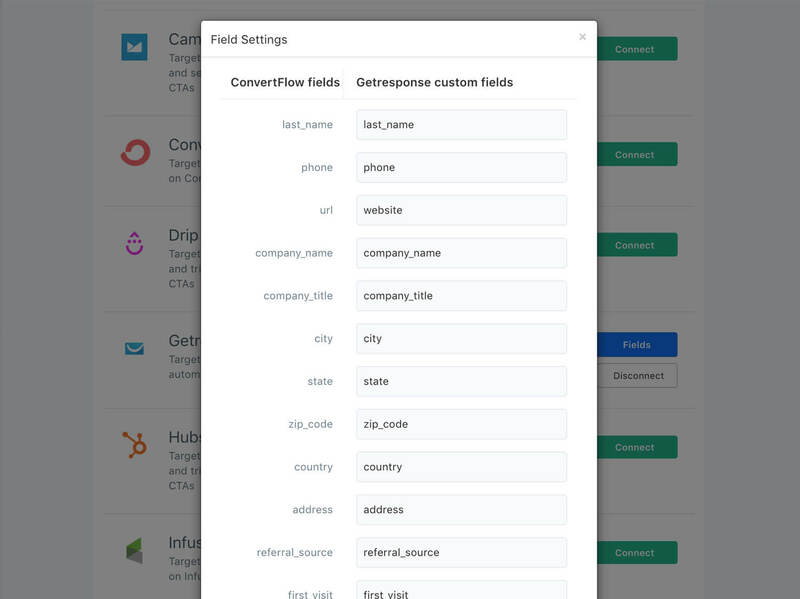 Just enter the data name of the GetResponse custom field you would like ConvertFlow's preset fields to be mapped to, and you're set!